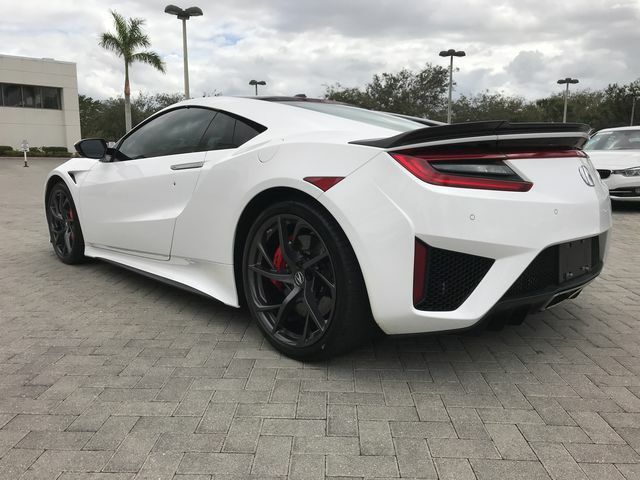 A Nouvelle Blue Pearl Acura NSX with custom yellow accents and Vorsteiner wheels leaving Lamborghini Newport Beach’s Supercar Show. 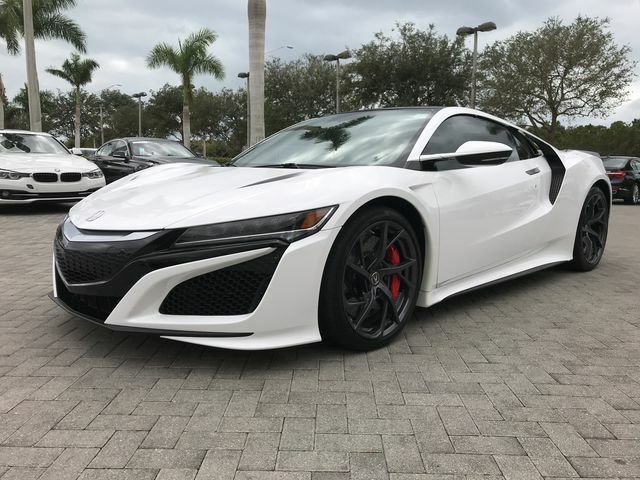 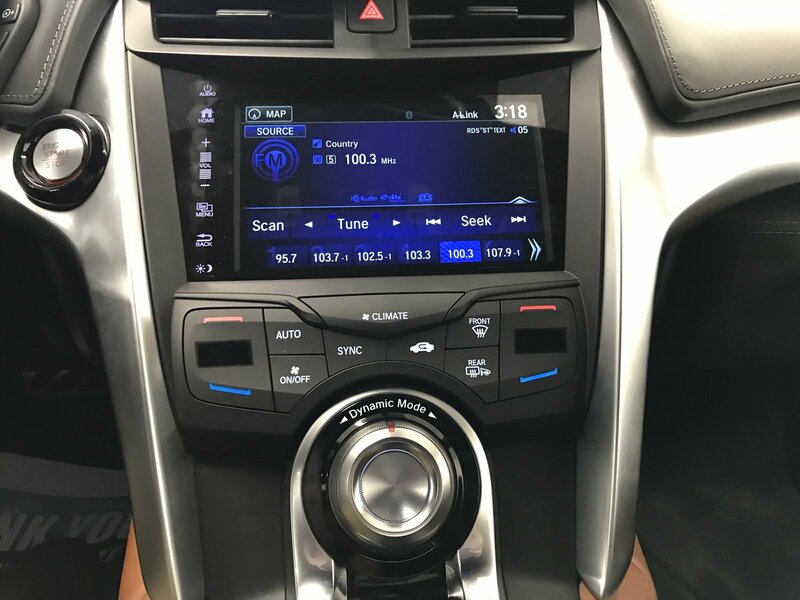 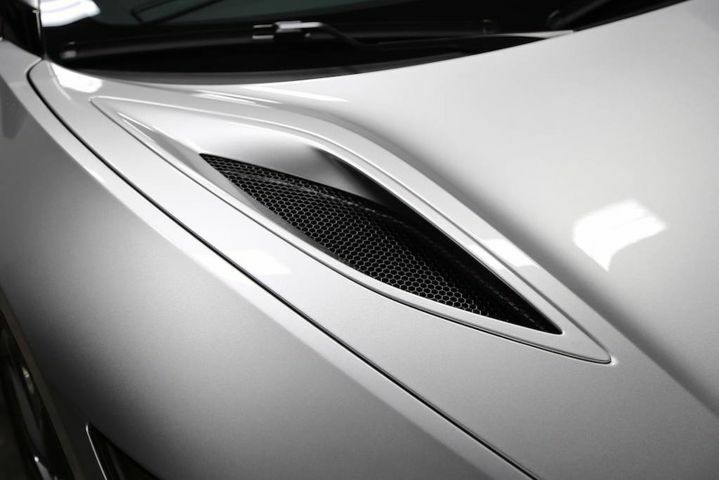 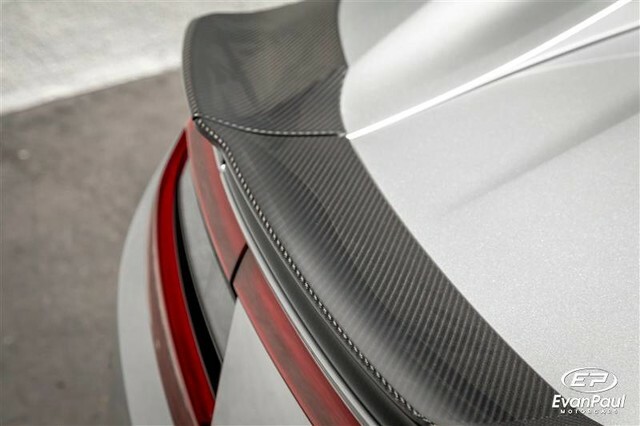 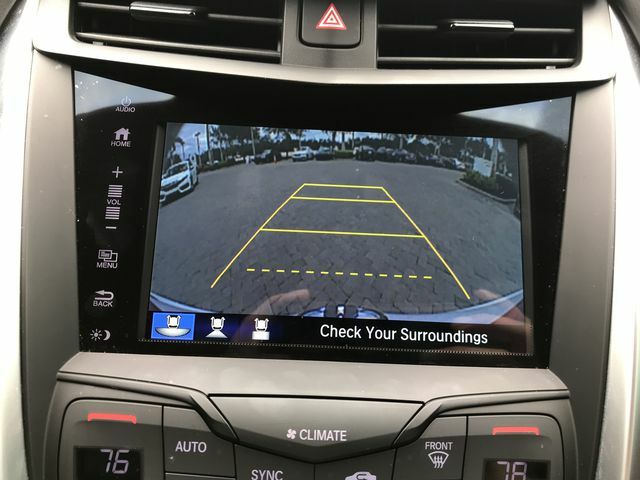 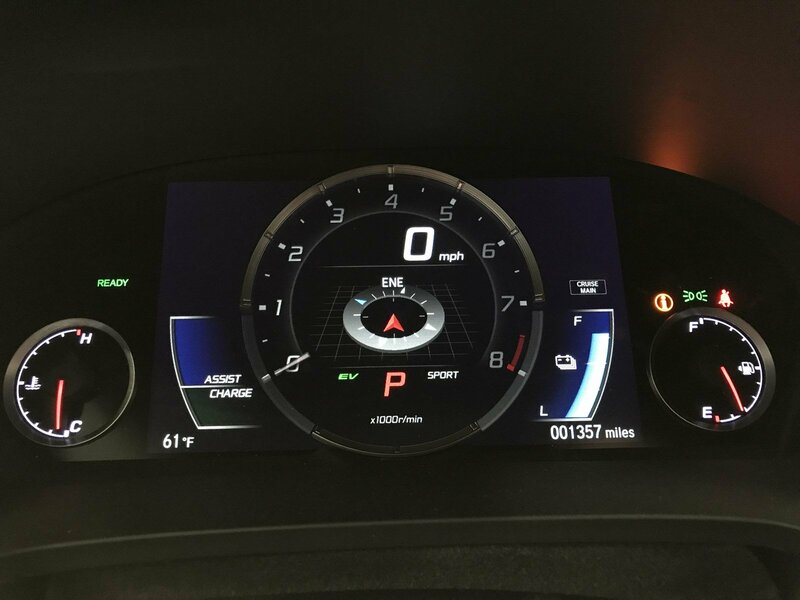 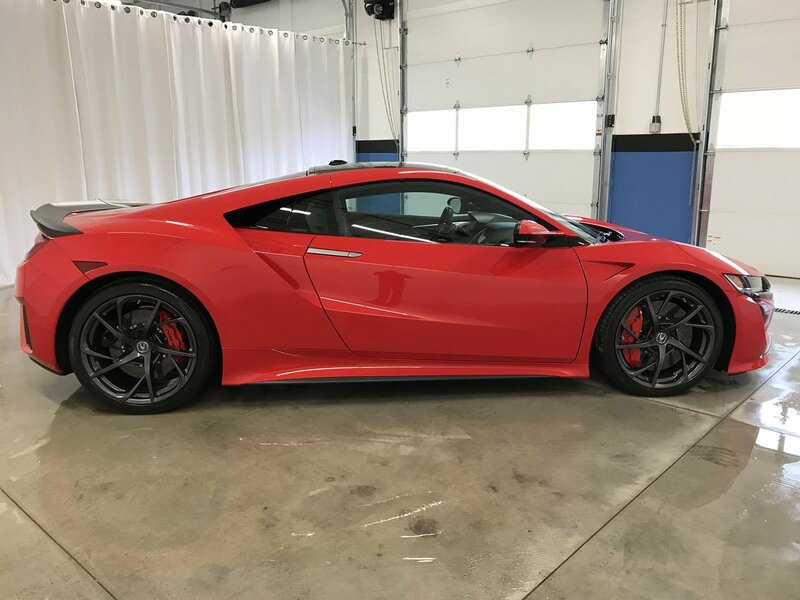 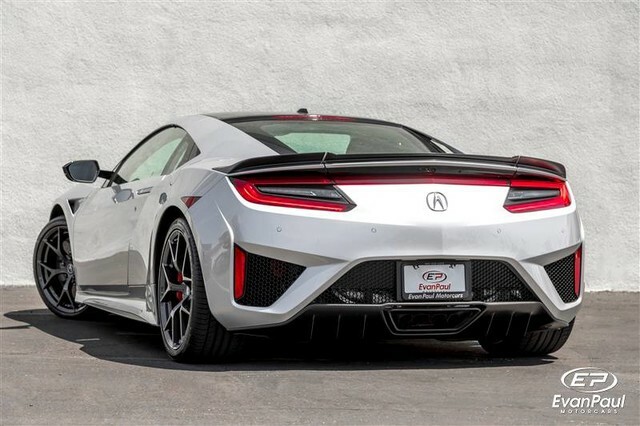 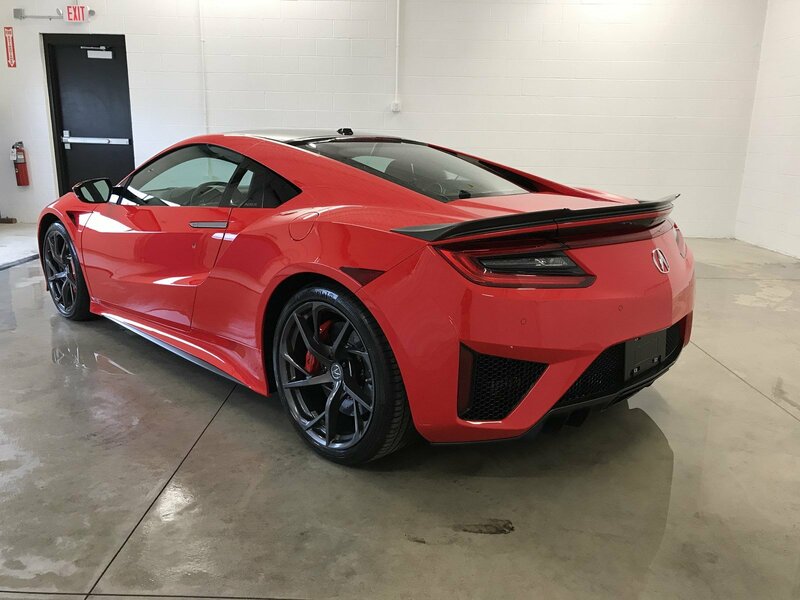 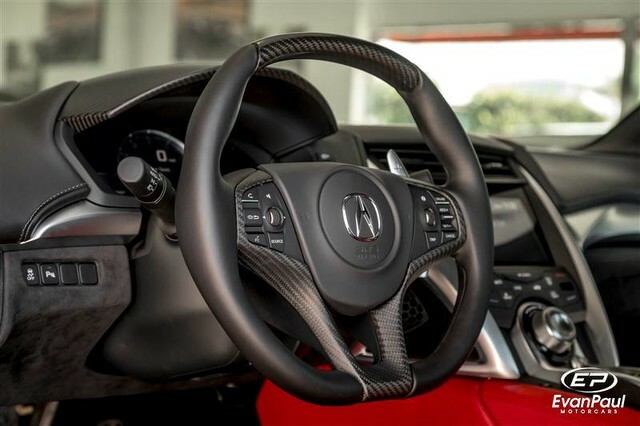 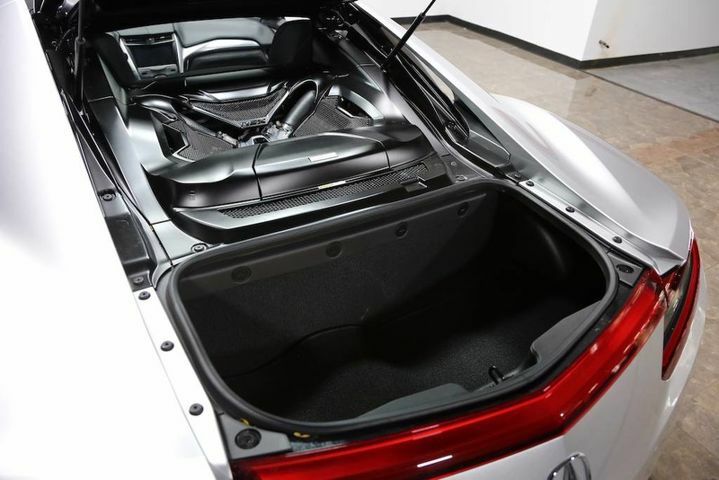 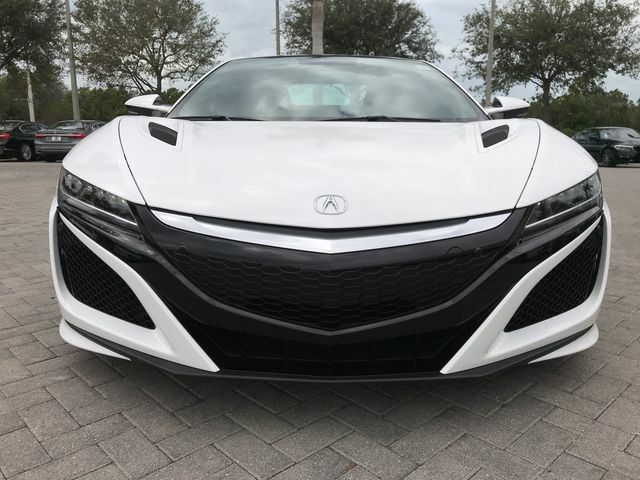 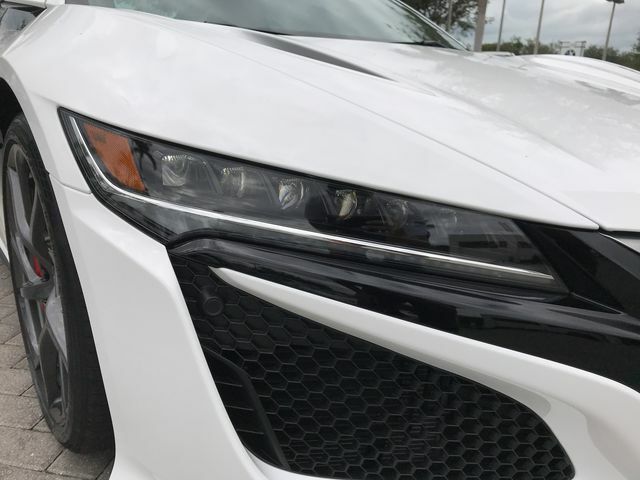 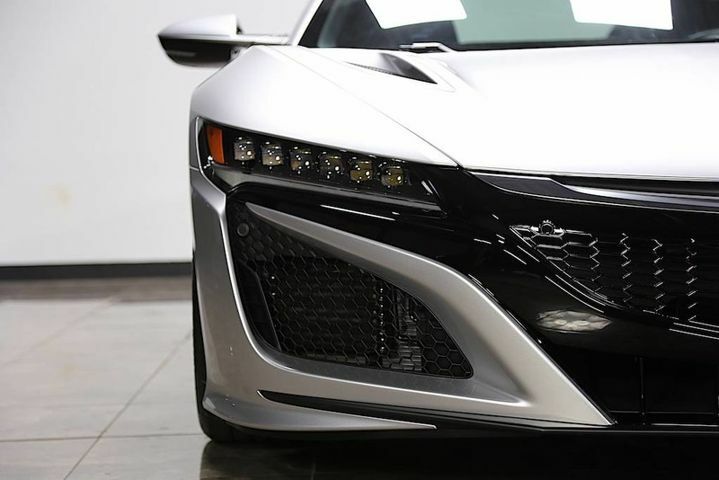 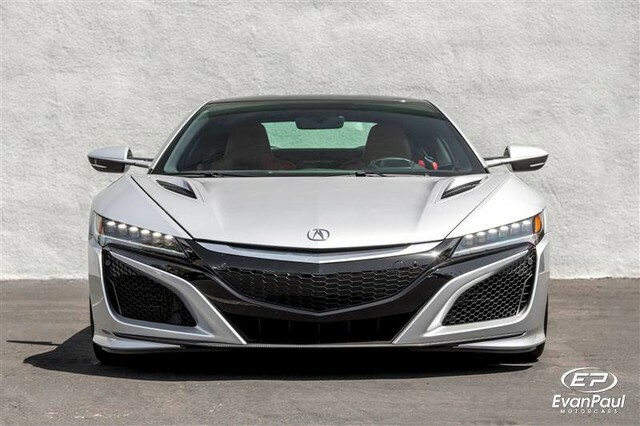 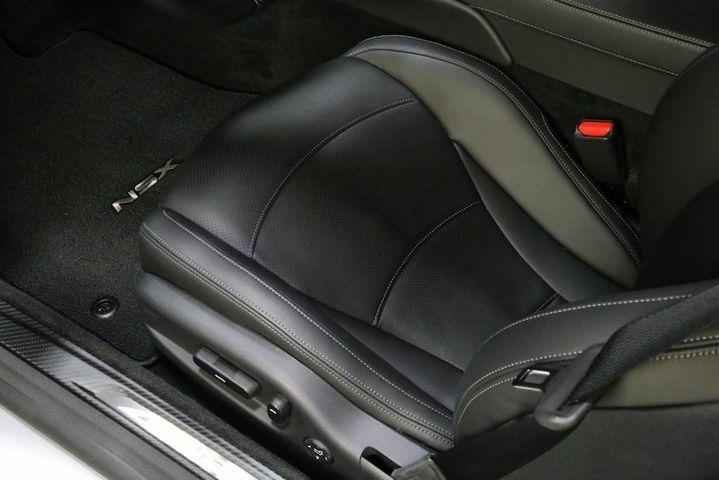 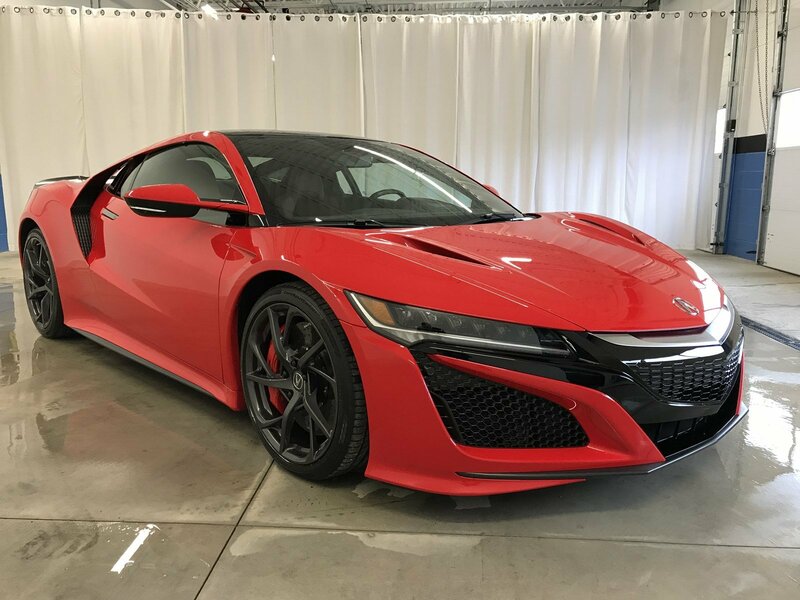 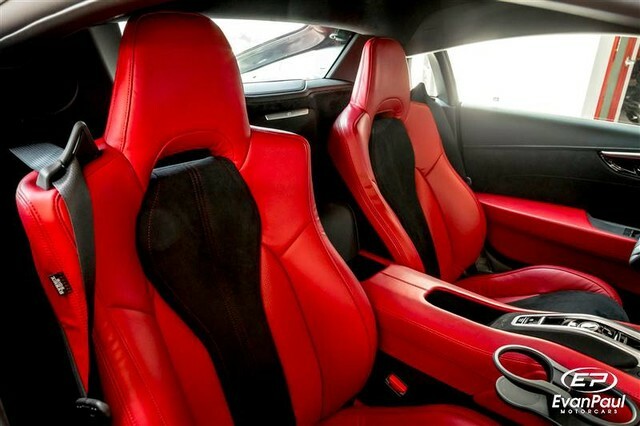 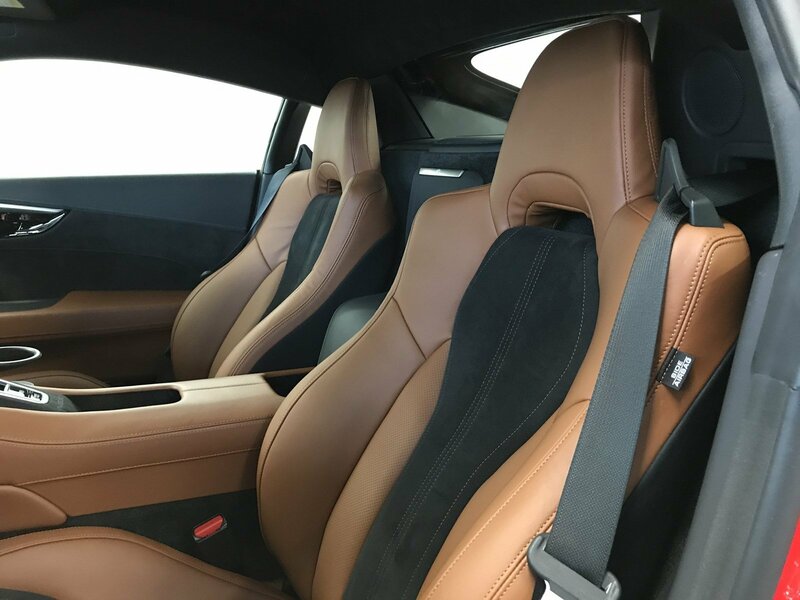 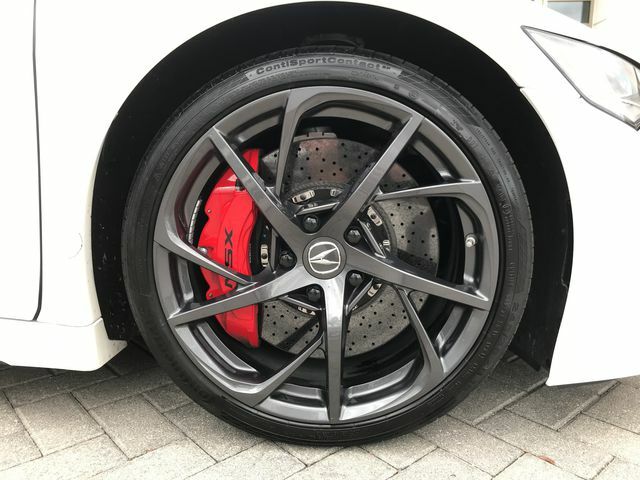 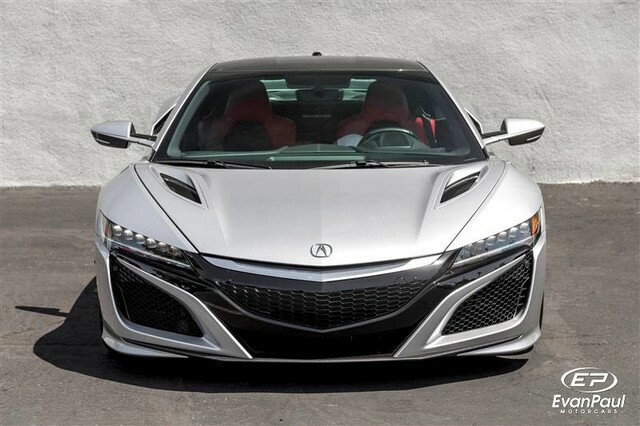 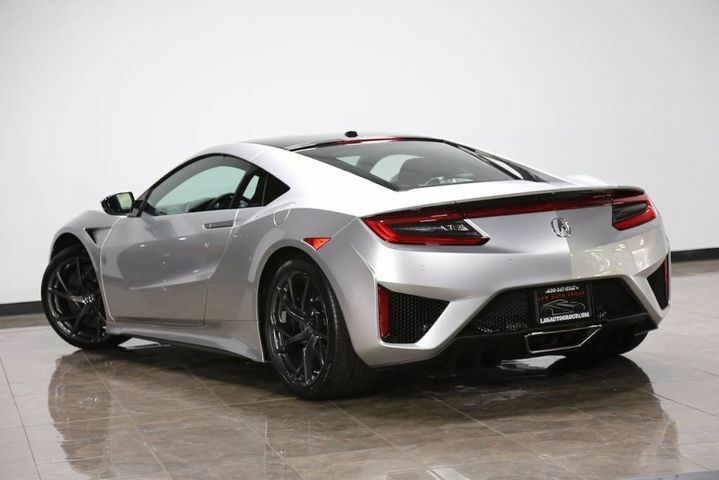 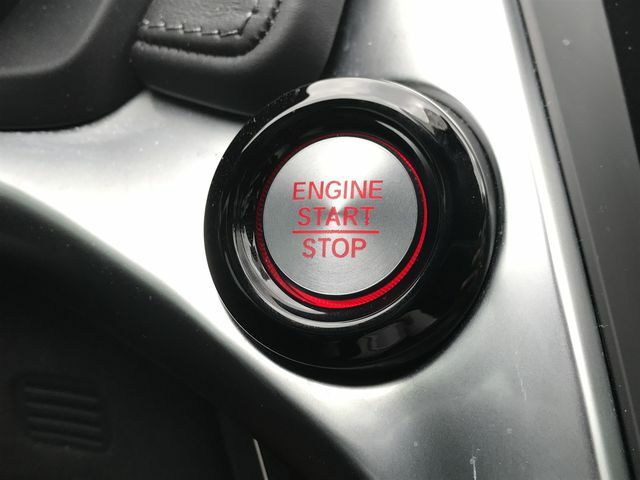 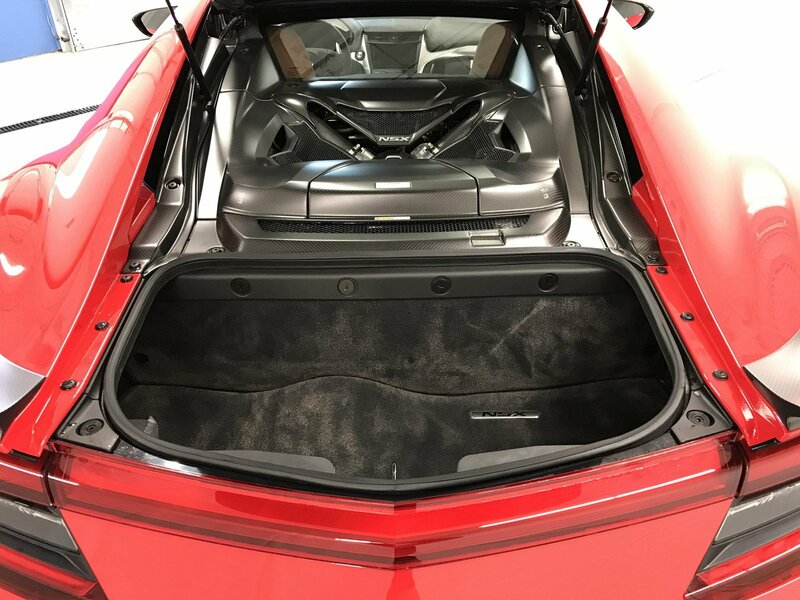 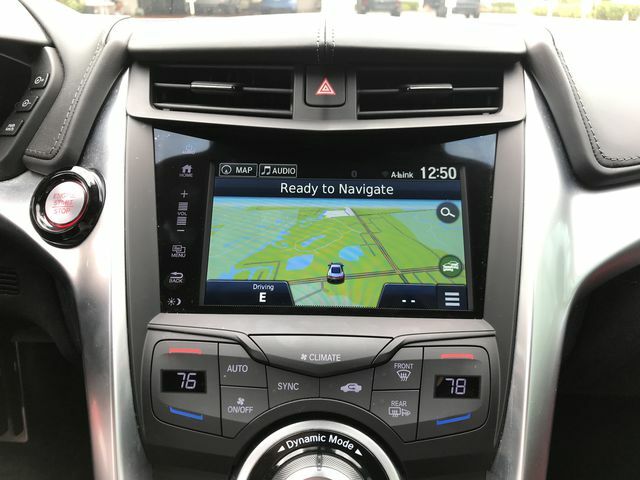 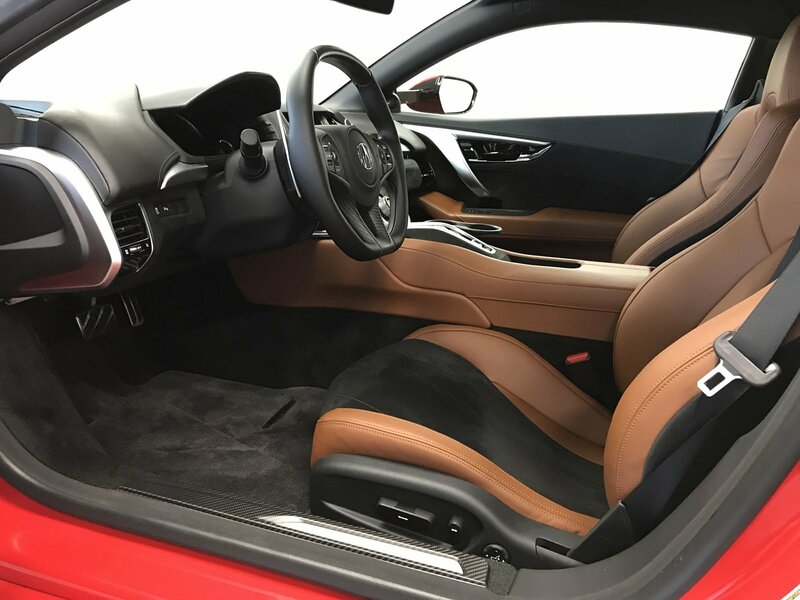 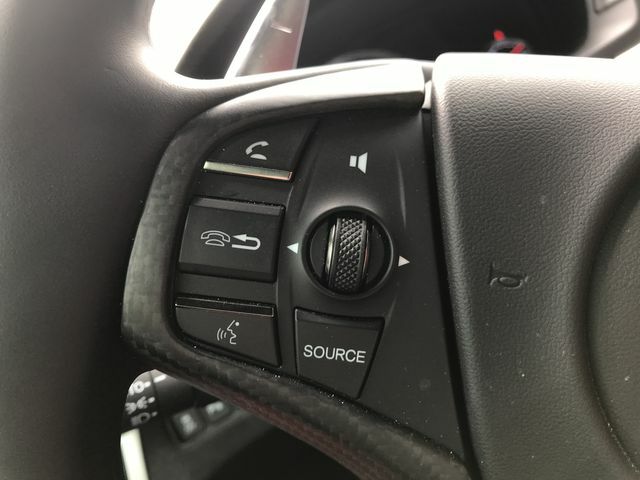 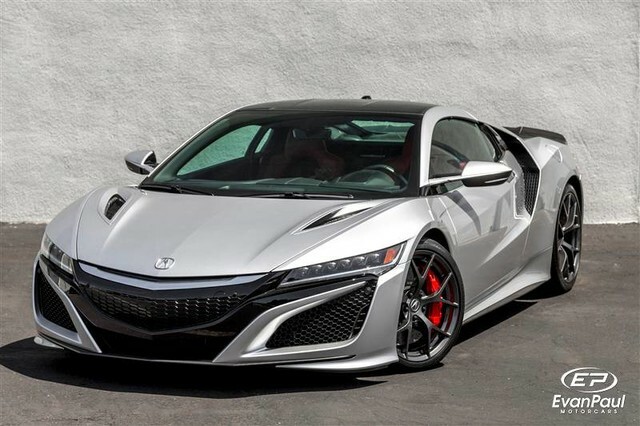 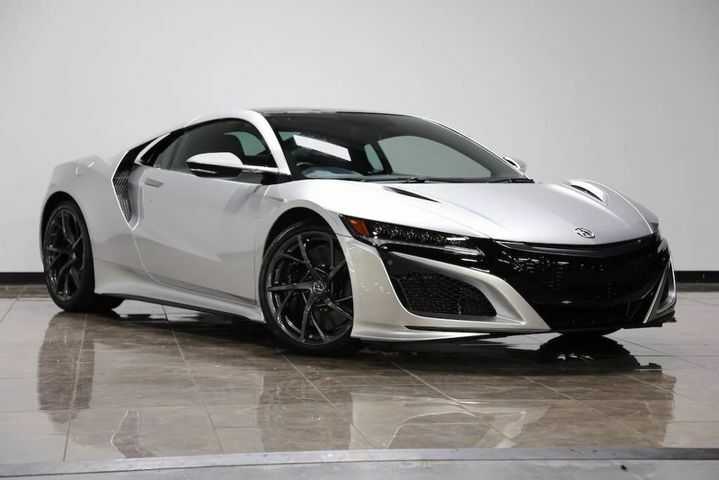 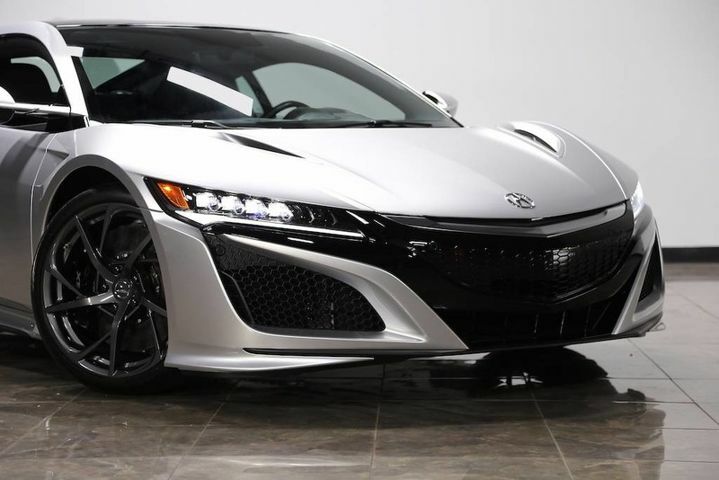 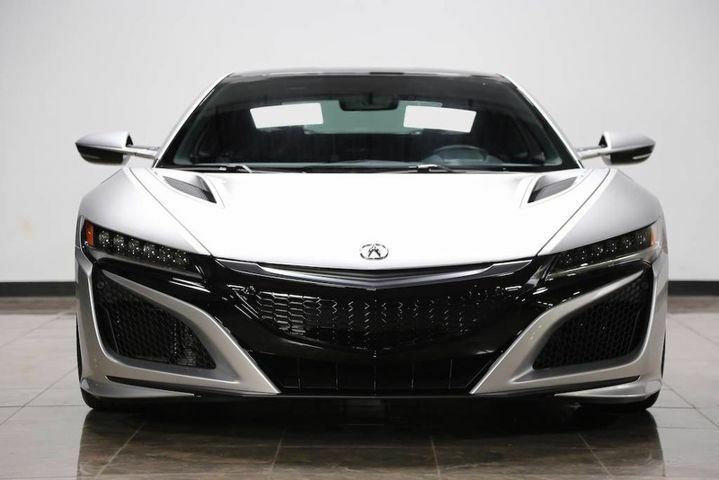 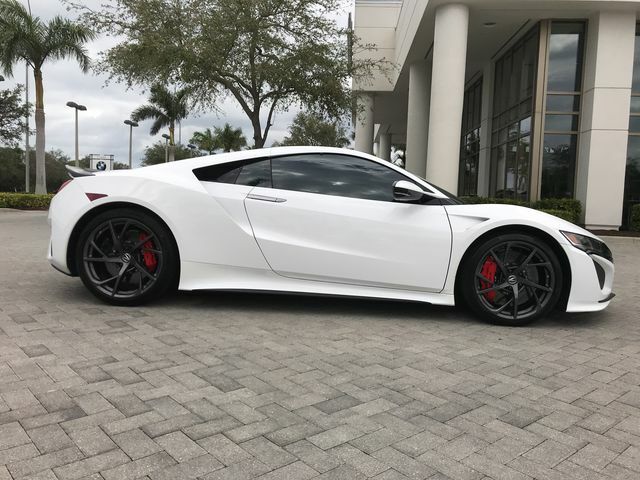 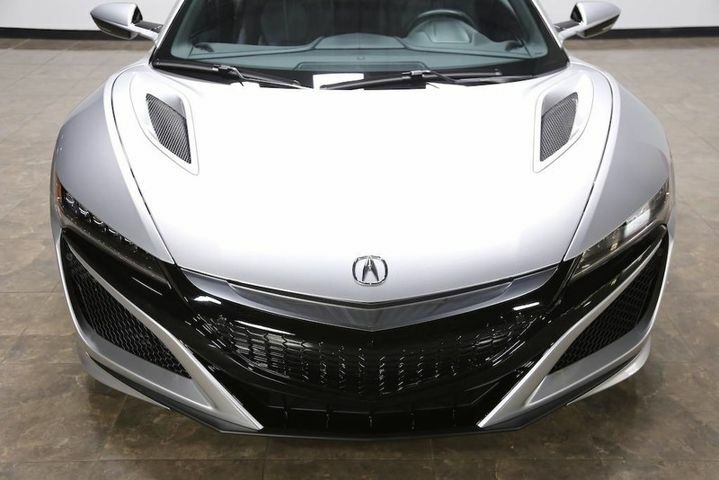 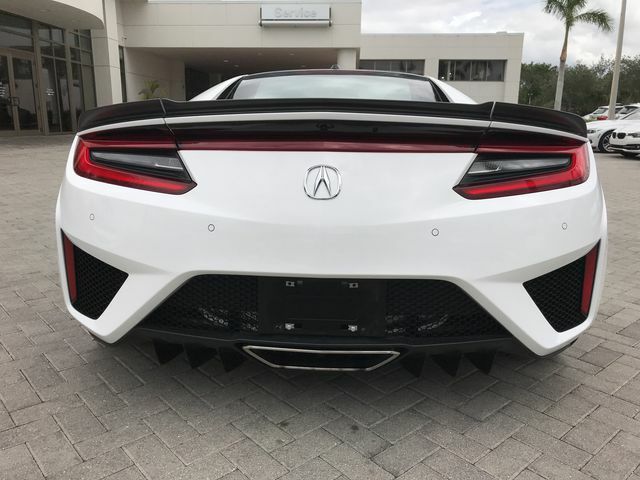 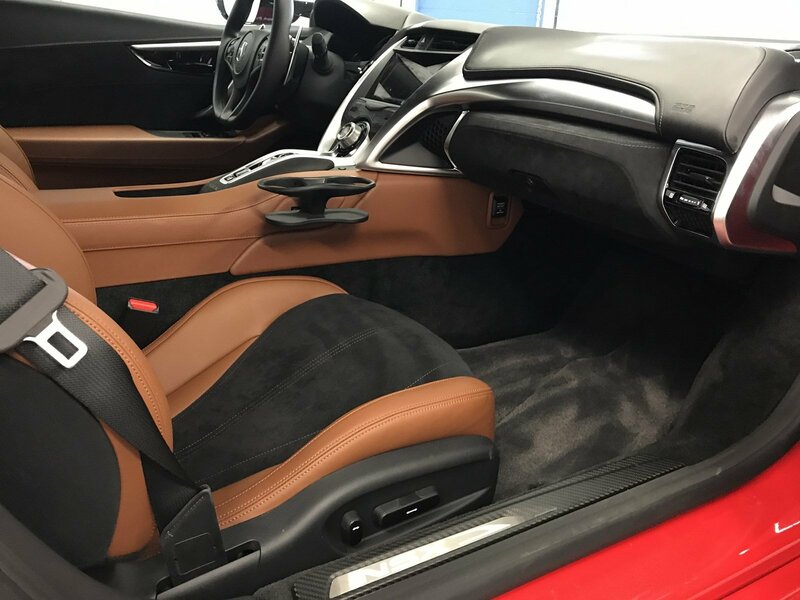 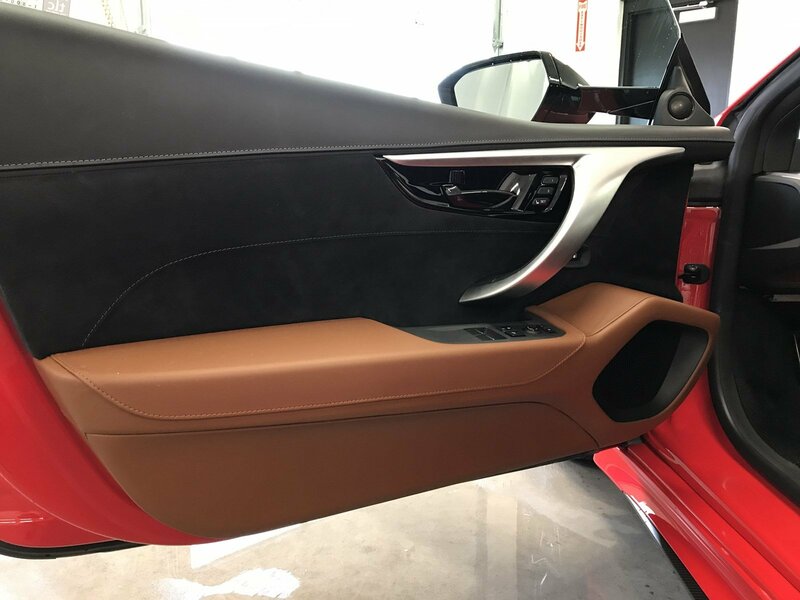 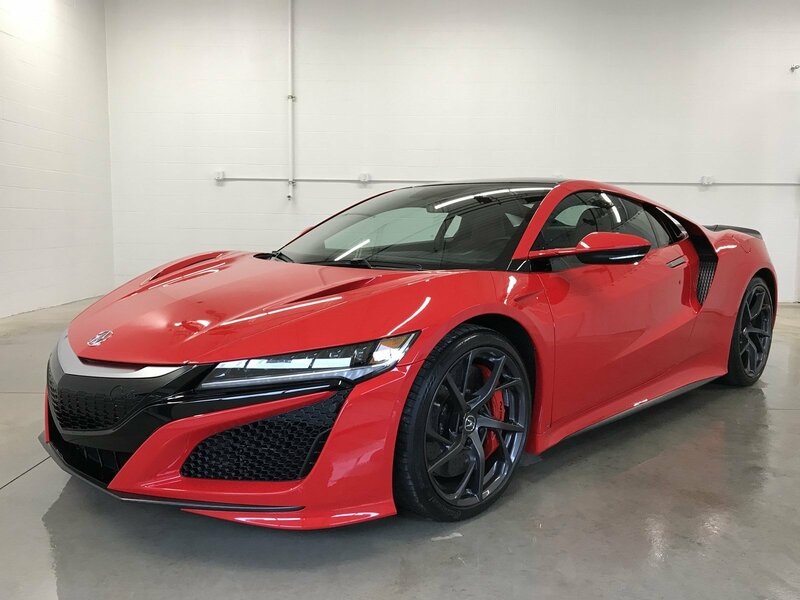 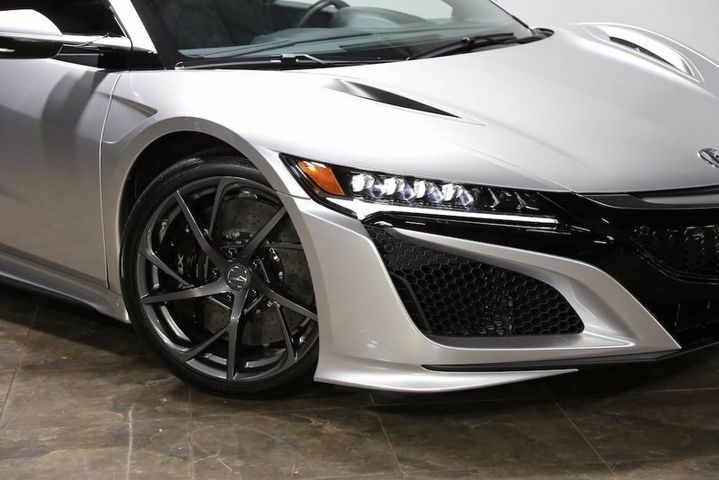 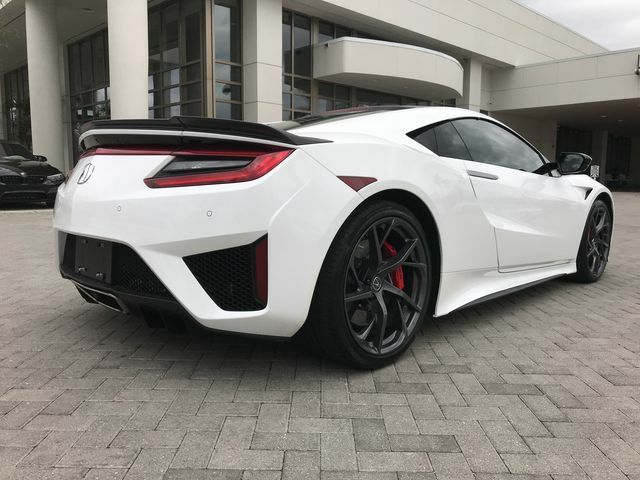 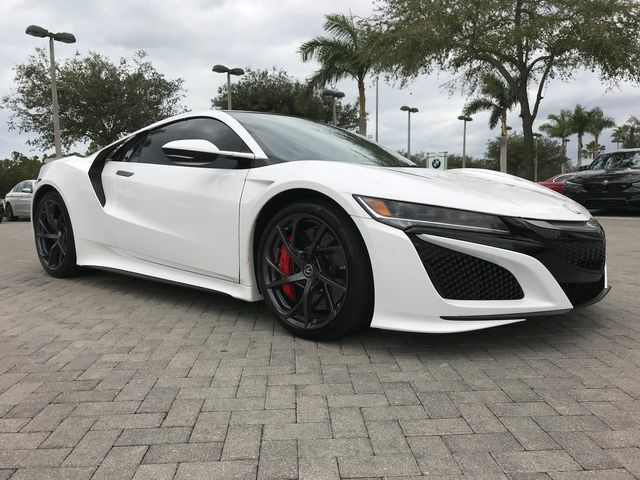 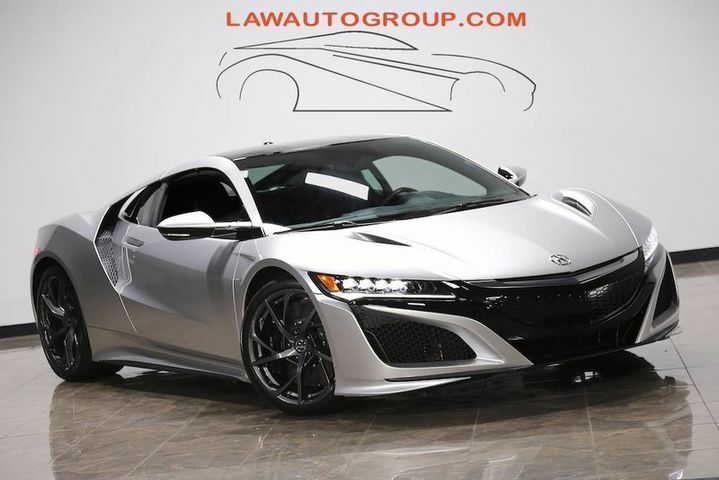 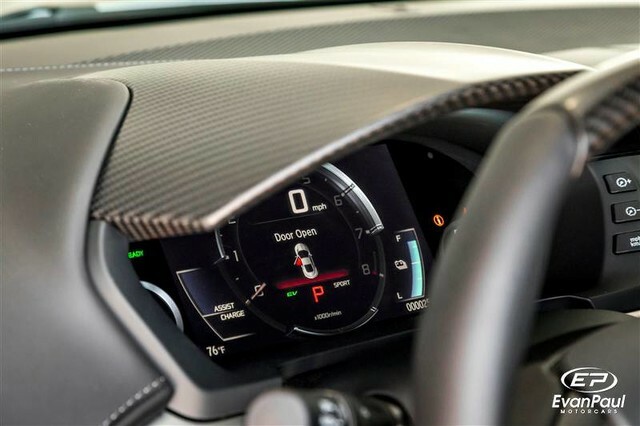 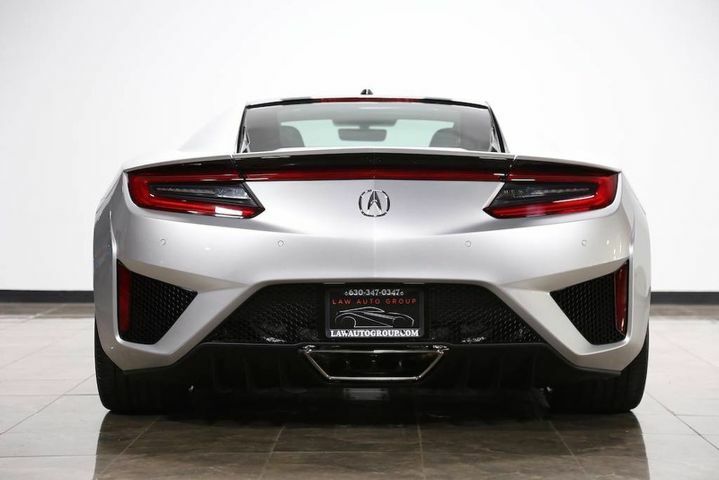 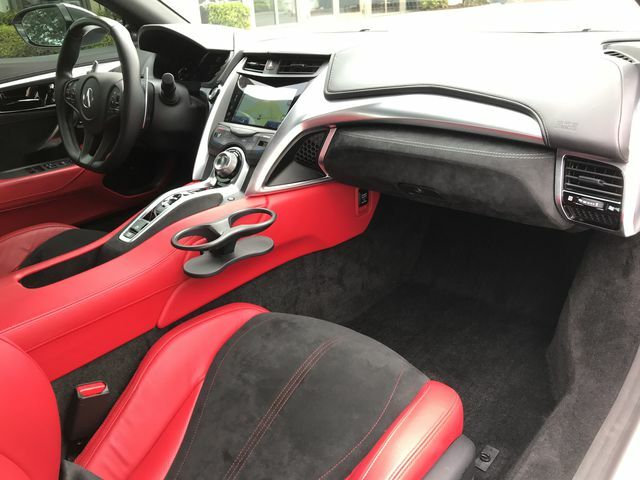 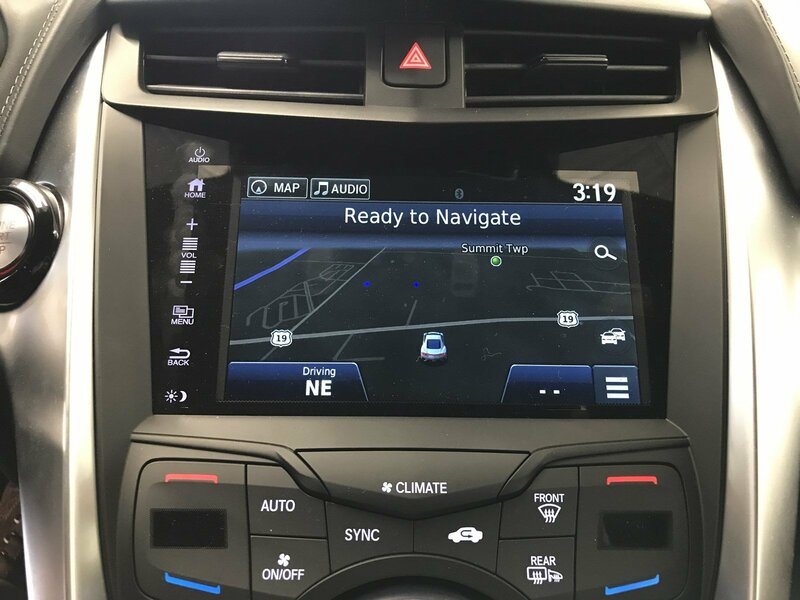 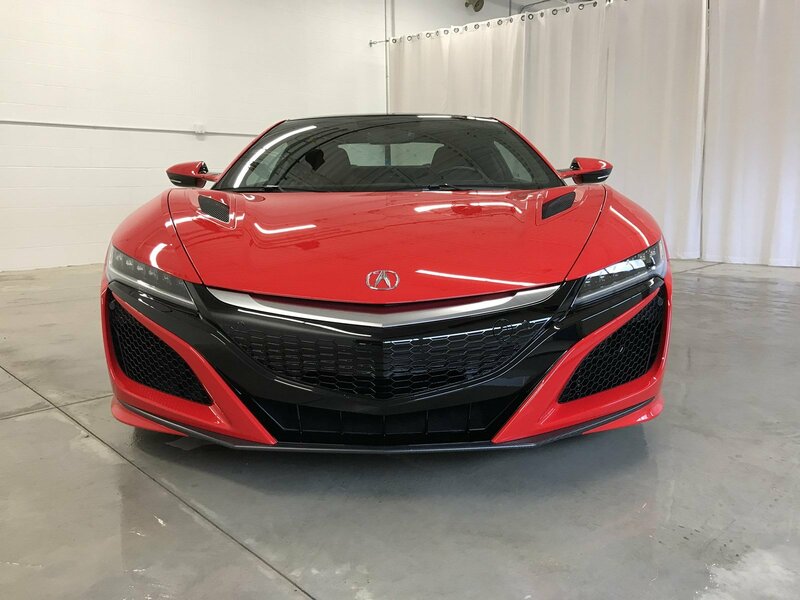 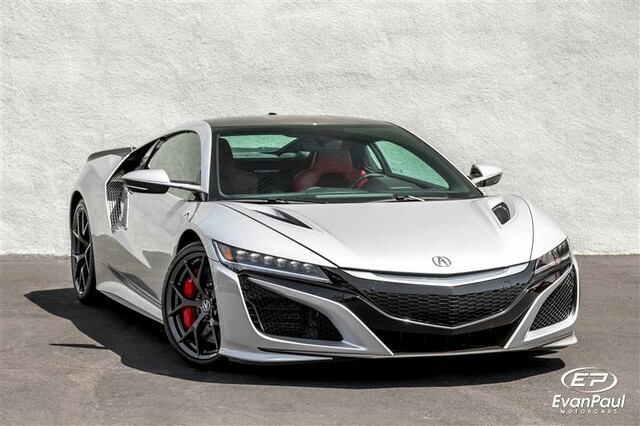 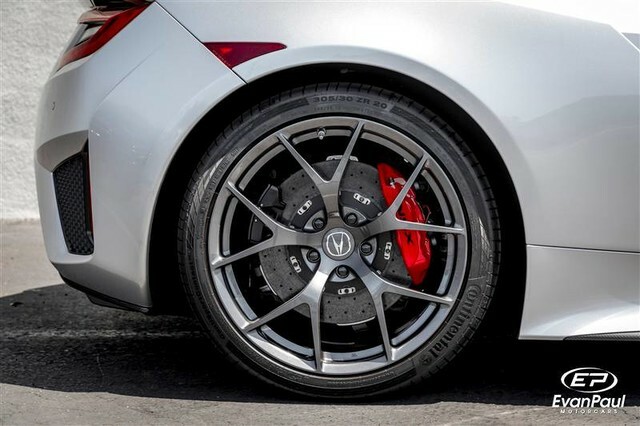 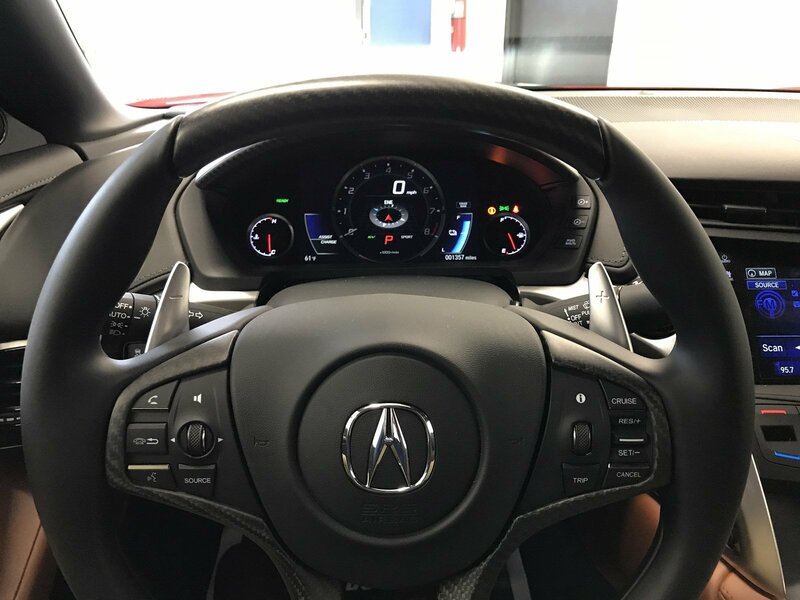 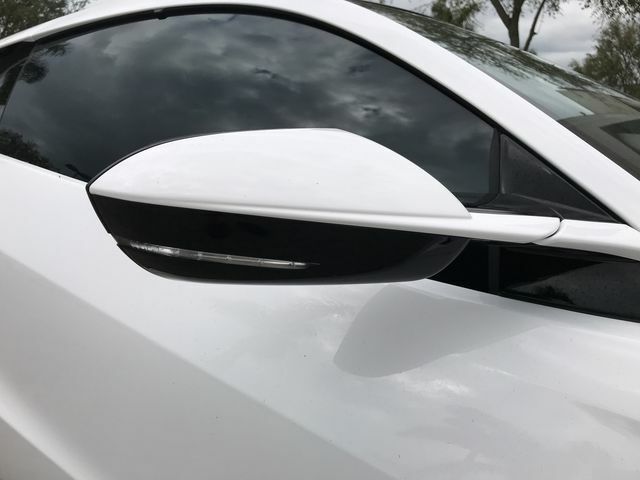 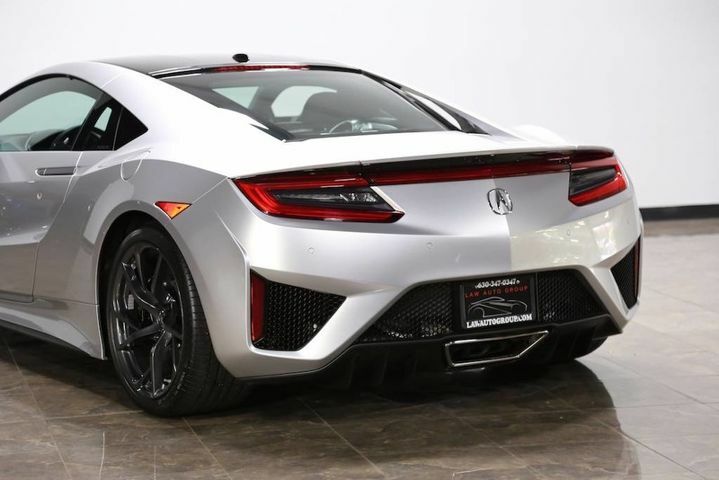 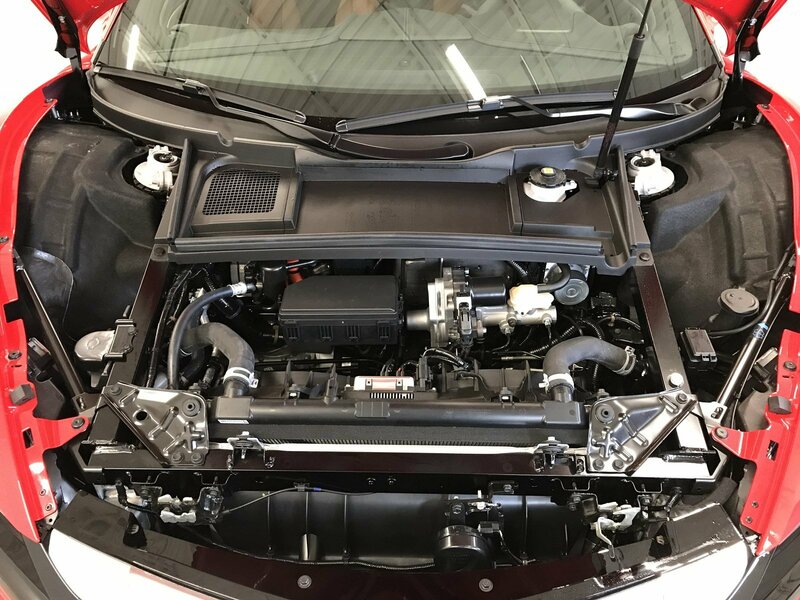 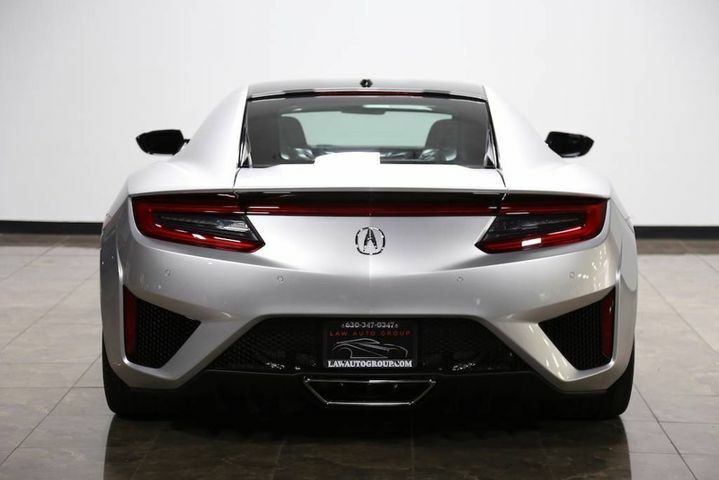 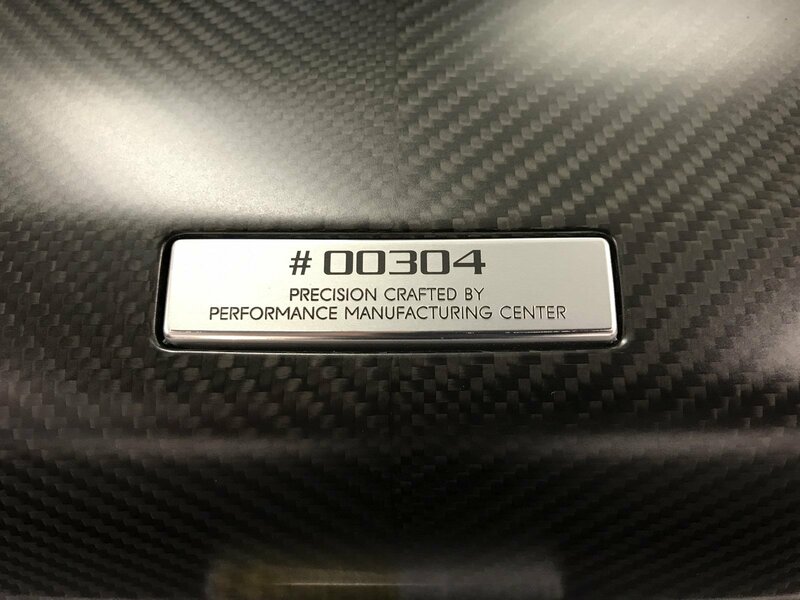 Used 2017 Acura NSX | For Sale! 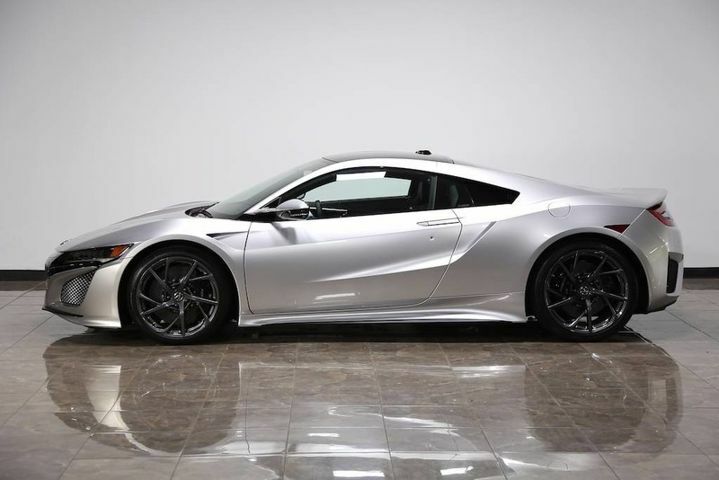 0-60 mph: 3.1 sec Mileage: 1,355 mi. 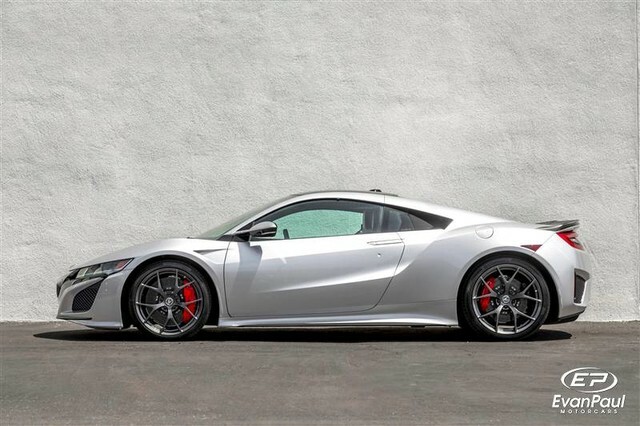 We’re back to the track for another drag race! 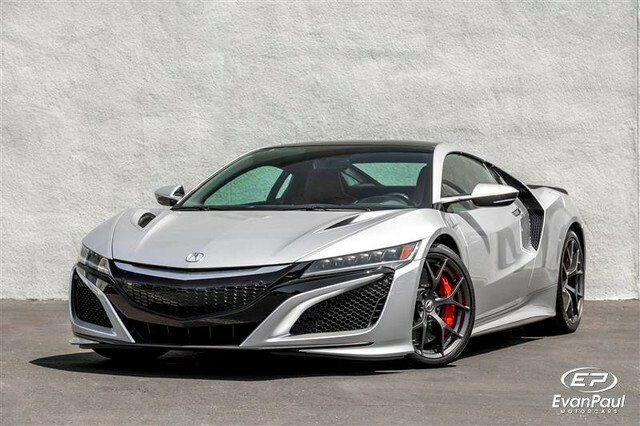 We’re pitting the Mercedes-AMG GT R against the new Honda NSX in a series of three tests. 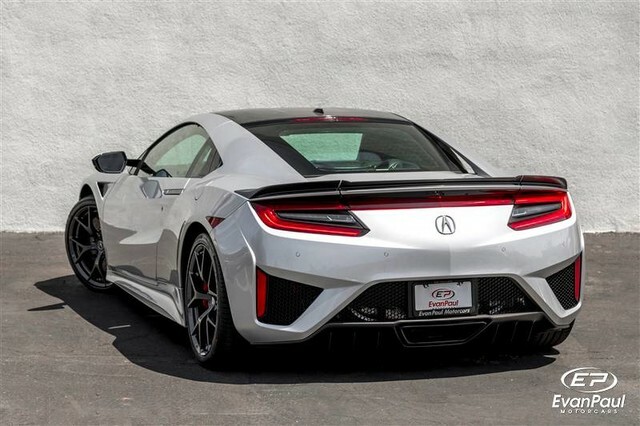 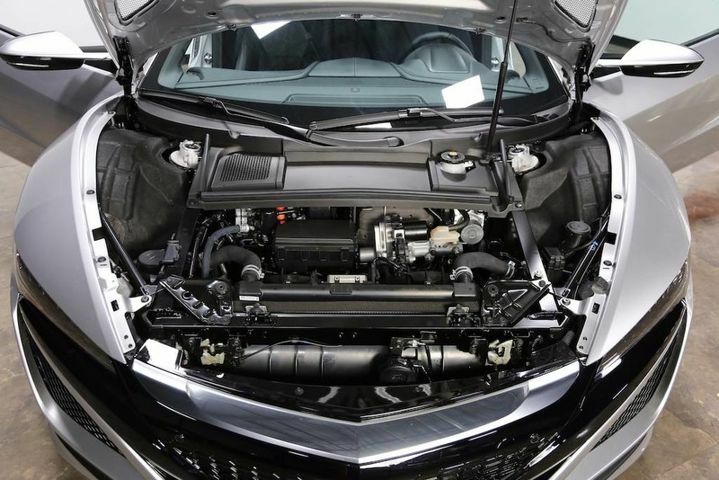 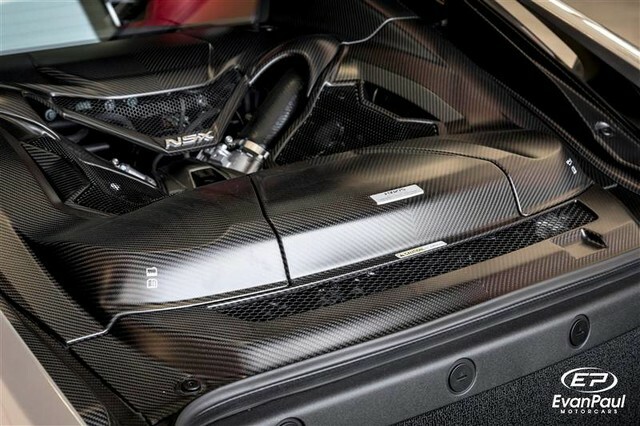 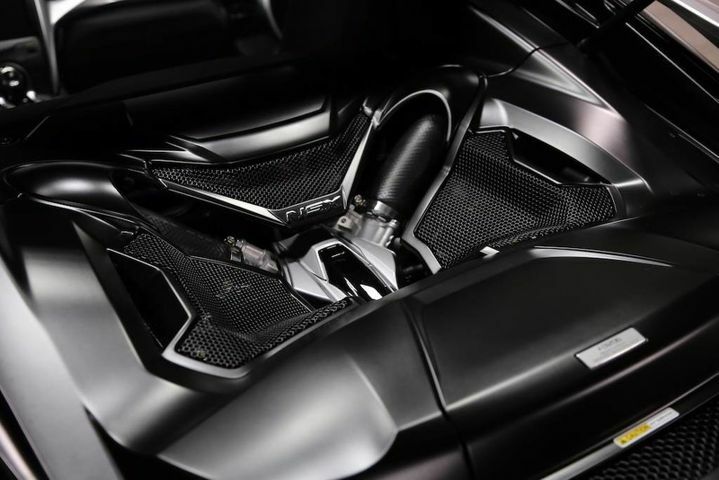 So will traditional twin-turbo 4-litre V8 engine power overcome a twin-turbo 3.5-litre V6 coupled with 3 electric motors? 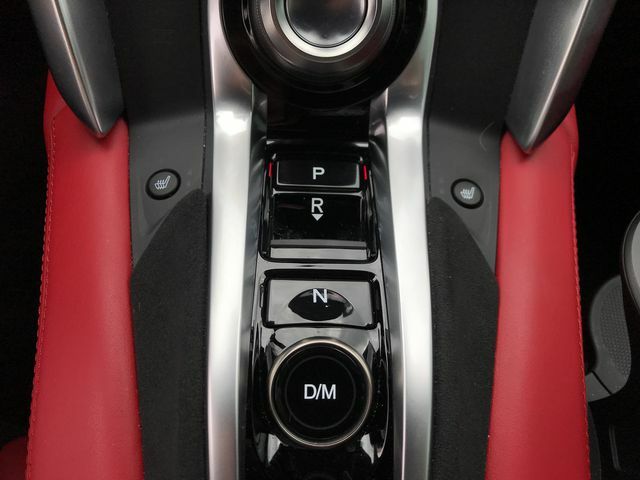 There’s only one way to find out… let’s race! 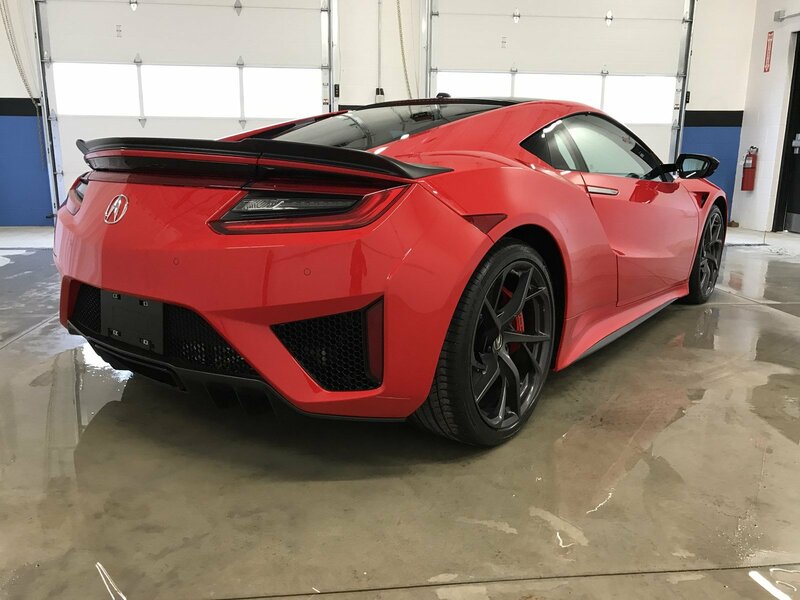 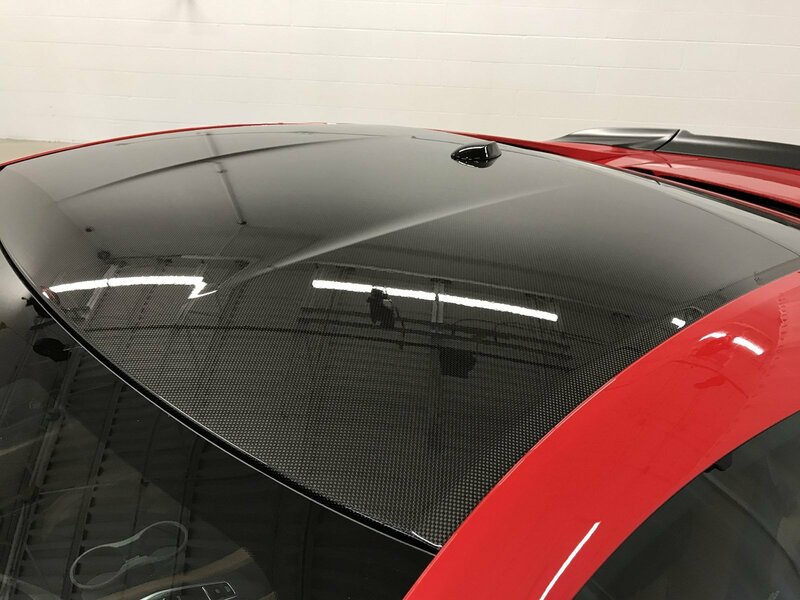 2017 Acura NSX – 2.3 Mile Straight Line Aerodynamic Run (Johnny Bohmer Proving Grounds). 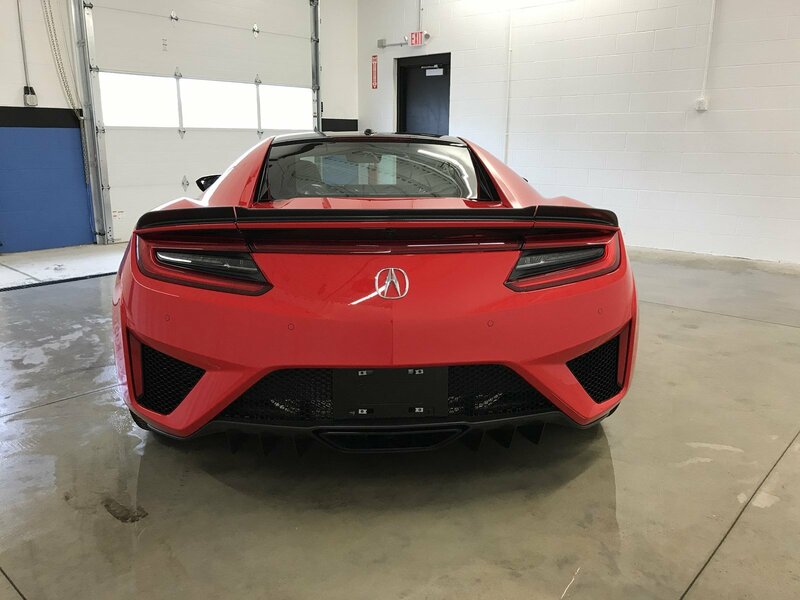 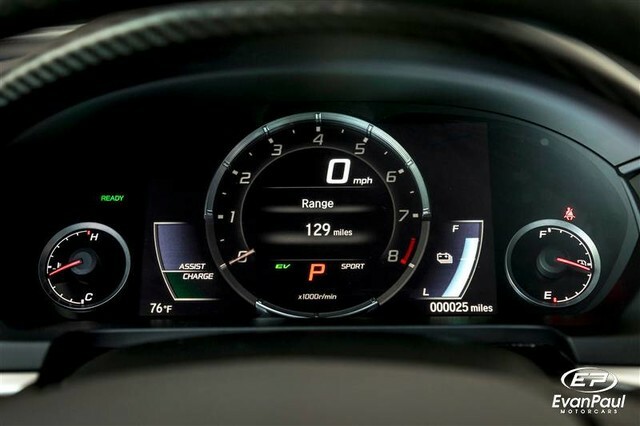 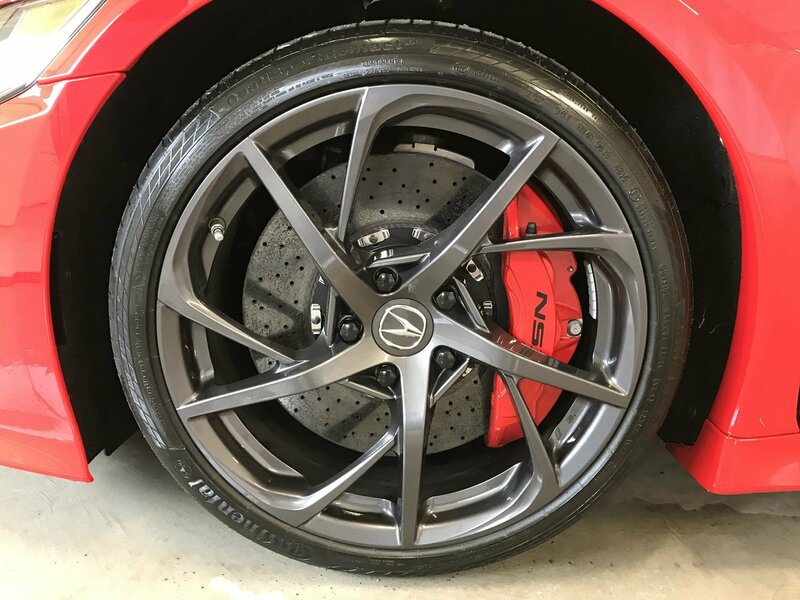 See what speed a 2017 Acura NSX can achieve in 2.3 miles. 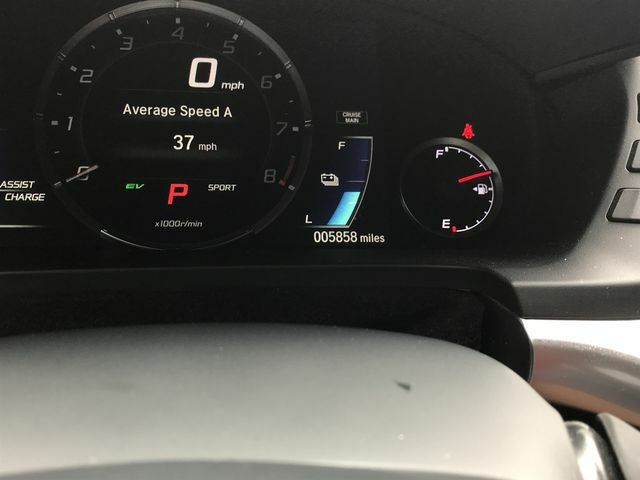 0-60 mph: 3.1 sec Mileage: 5,857 mi. 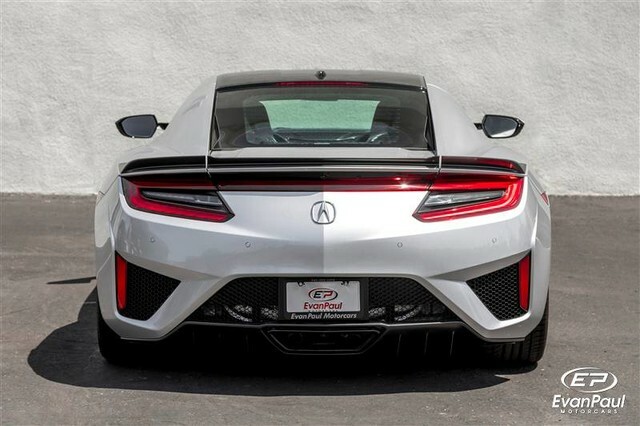 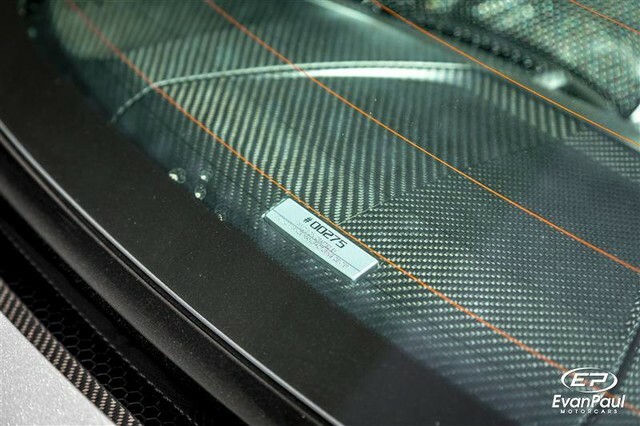 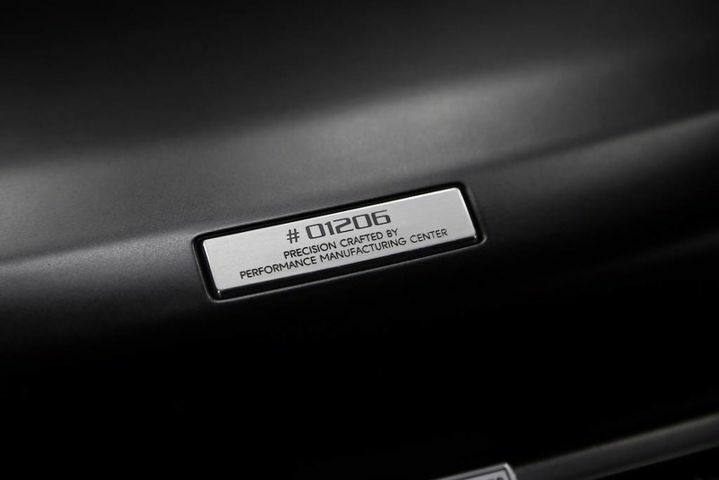 0-60 mph: 3.1 sec Mileage: 409 mi. 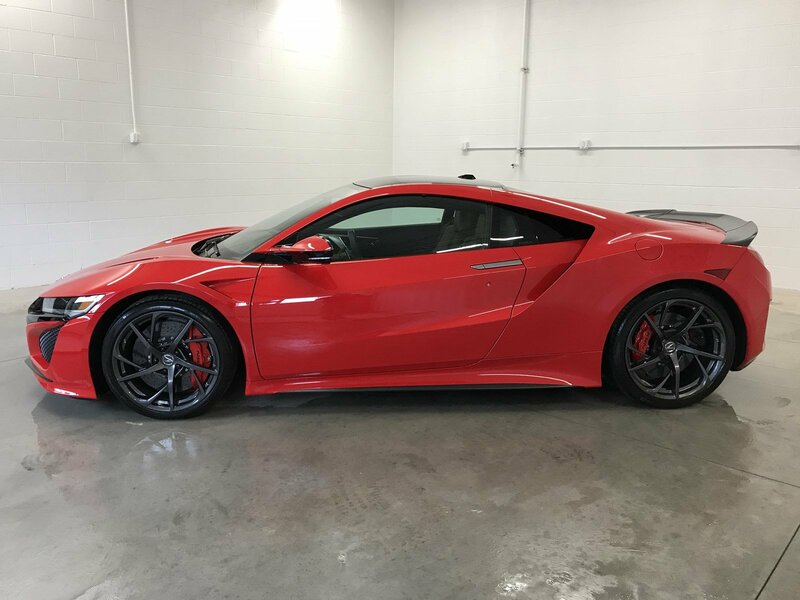 0-60 mph: 3.1 sec Mileage: 25 mi.